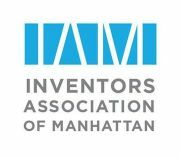 Hello Inventors Association of Manhattan! My name is Michael Cimino and I am a senior casting director on NBC's new gameshow, The Million Second Quiz! Hosted by Ryan Seacrest, MSQ is a state-of-the-art, electrifying new live competition where contestants test the limits of their knowledge, nerves, and endurance as they battle each other in intense bouts of trivia for 12 consecutive days and nights. When the million seconds draws to a close, the champions will battle it out and the ultimate winer could claim the largest prize in game show history, up to 10 Million Dollars! The competition will air in prime-time LIVE from a 3-story hourglass-shaped structure in the heart of Manhattan. The show will be the first fully convergent television experience, where viewers from all across America will be able to play along at home in sync with the game 24 hours a day and get a chance to appear on the show! 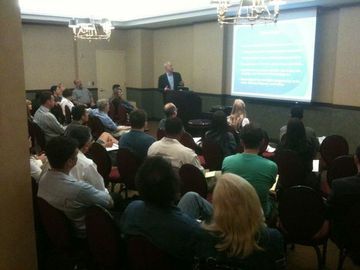 We are looking to profile bright minds in New York that love trivia and love winning money! We will be conducting interviews over the next 2 weeks and would love to speak to anyone interested in playing the game! Feel free to contact me ASAP to discuss further!